We are working closely with the Government which is sympathetic towards the situation and has realized the repercussions, said Immediate Past President, Sri Lanka Ceramics Council and Chairman/Managing Director, Dankotuwa Porcelain Plc, Sunil Wijesinghe. He said, “We need to have the GSP+ facility at least for another 3 -5 years. The facility will enable us to be competitive in the EU market. Countries such as Bangladesh being a Least Developing Country gets market access without any duty. Sri Lanka’s ceramics industry is a high incentive and energy consuming industry. We have high production costs. It is difficult to compete with countries such as China, Thailand, Malaysia, Indonesia, India and Bangladesh. We need to identify emerging markets, he said. Dankotuwa Porcelain will be the most affected ceramics company as 53 percent of its exports goes to the EU market. The company has provided employment to 1,000 people where 46 percent are female employees. Most of them are married and having children, he said. In the event of the GSP+ facility being withdrawn a number of industries including the ceramics industry in Sri Lanka will be affected, said President, Sri Lanka Ceramics Council and Chairman/ Managing Director Midaya Ceramics Co. Ltd. Dayasiri Warnakulasooriya. 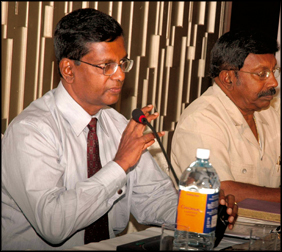 The Sri Lanka Ceramics Council is alarmed at the possibility of losing the GSP+ concession granted by the European Union. Sri Lanka can export ceramic articles to the EU free of duty as a beneficiary of the GSP+ facility. The country exports ceramics worth US $ 42 million per year, only one percent of the global demand. During the past six months the export value was Rs. 745 million. Sri Lanka’s main export markets are USA, UK, Italy, UAE, Netherlands, Germany, France, Japan, Greece and Belgium, he said. The ceramics industry with approximately 15 companies in operation provides direct employment to around 5,500 skilled persons. The quality of Sri Lankan ceramics is no second or even better to any Asian competitor and some of our brand names are well known the world over, he said. It is important that the GSP+ facility be continued as ceramics is a buyers’ market and is volatile to price changes. Without the GSP+ facility the prices of our products will increase and we would lose markets. The most affected by the GSP+ facility withdrawal would be the exporters to the EU market, he said.